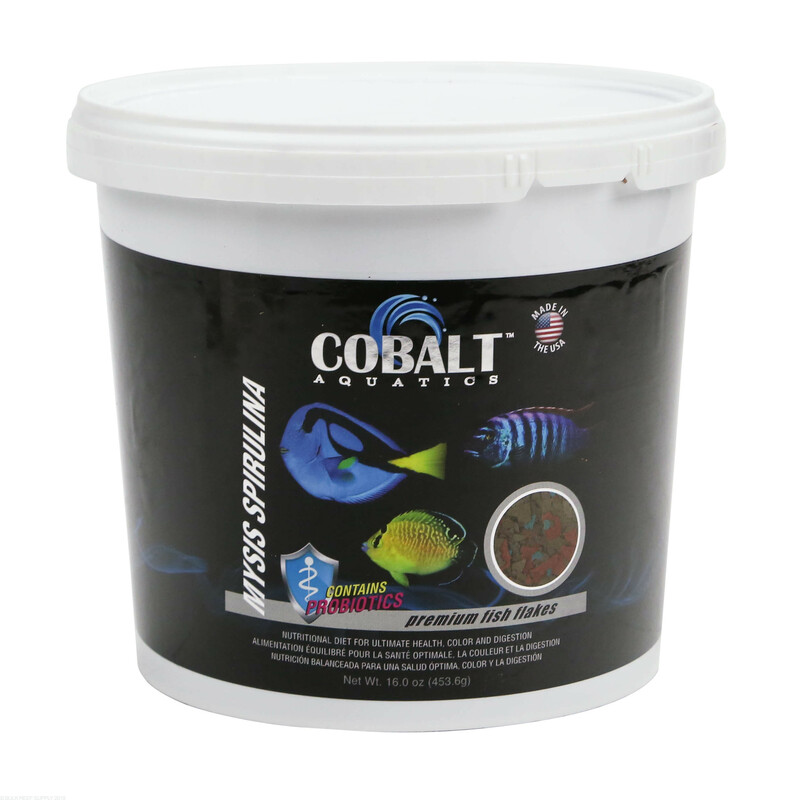 Premium Flake Fish Food from Cobalt Aquatics designed to promote consistent growth and color. Had the new fish food jitters but not after the first feeding. Fish went for it readily. Even my corals snag a flake and won’t let go. 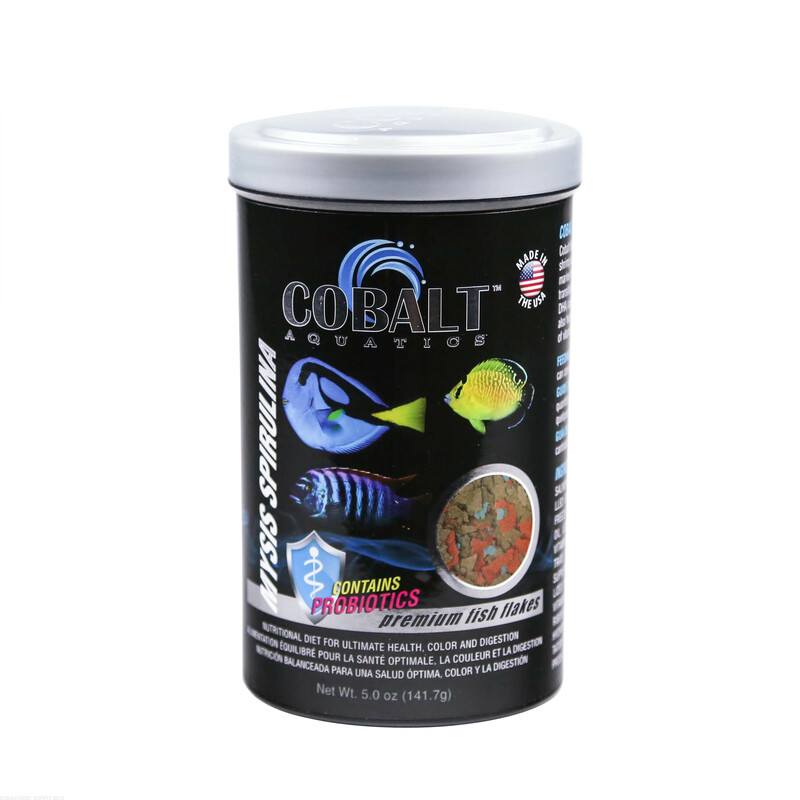 My hippo and yellow tang, flame angel, diamond goby, yellow-head jawfish, but even the shrimps love this stuff. No flake gets left behind. Will buy it again. My Yellow Tang, Pajama Cardinalfish‬s, Perc Clowns and my Chromis‬ will all eat this product except for my Powder Blue tang will not even look at this stuff. That being said, I will rate this a 4 star flake food. 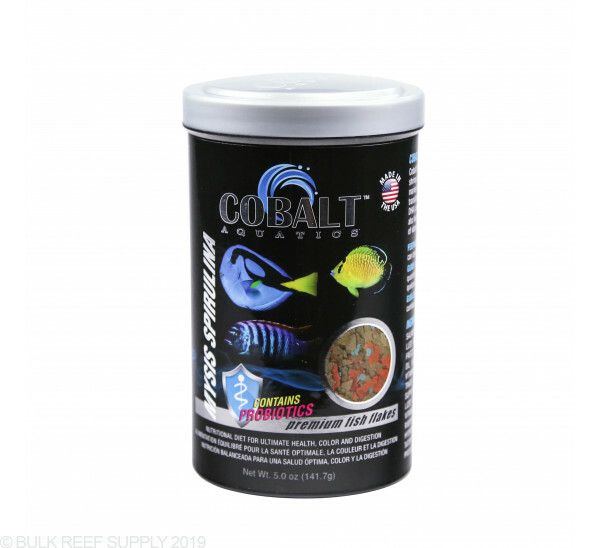 Dont buy this if your going to try it out for your Powder Blue tang b/c you might be disappointed. I have a mix of herbivores and carnivores. I searched for a food that would be good for both, and I found this. The mix of Spirulina and Mysis gives the best of both worlds... and my fish LOVE it. All of my fish eat it, and it is their primary diet. My poor Orchid Dottyback was dull and splotchy, but once started on this food, he regained color and his frayed fins healed. Even my exclusively live-diet Mandarin developed a taste for this food! Tangs, Angels, Wrasses, Anthias, Clowns, Gobies, etc. thrive on it. 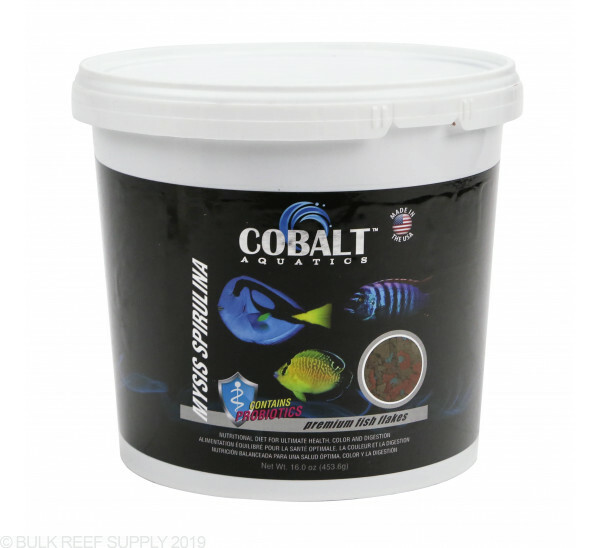 My fish have great color and are very healthy since I started feeding them Cobalt Mysis Spirulina flakes. I supplement with a feeding of frozen mysis twice each week, and that's it. My fish love it, I love it, and I'm sure you'll love it, too!